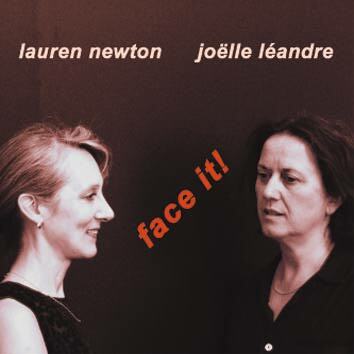 LEO RECORDS: CD LR 450: Lauren Newton / Joelle Leandre - Face It! Recorded live at the Europa Jazz Festival in Le Mans in April, 2005, this is the second CD by the duo of Lauren Newton and Joelle Leandre in Leo Records catalogue. Lauren Newton: "I am always intrigued with our work together as we continuously challenge each other to go deeper into ourselves, directly into the music of the moment." Joelle Leandre: "Making music with Lauren has always been and remains to be moments of pure joy and fun. The energy level is intense and inspires new musical horizons."